$25 USD (325.000 Rupiah) per person Semi-Private Surfing Class. Maximum 3 persons per class. $20 USD (260.000 Rupiah) per person Semi-Private Surfing Class. Maximum 3 persons per class. 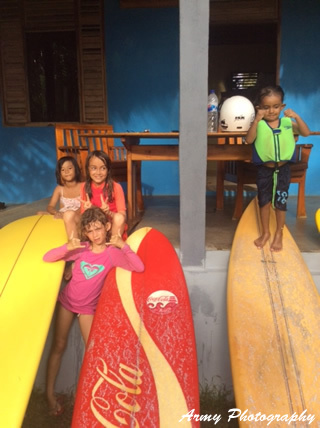 Group & Family Surf Lessons (more than 3 persons): We customize price/surf time to fit with each person's expections. 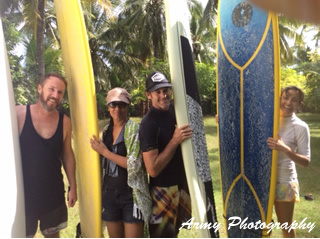 All classes include real surf boards for a collection of custom made-surf boards Ron collected over the past 10 years coaching and surfing in Rote. 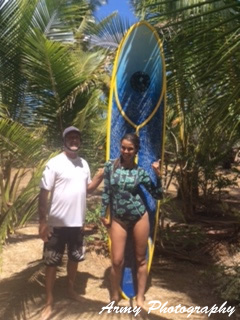 Before your first surfing class we meet person to person review your sports, swimming and ocean experience. Also, knowing your weight helps to know to select the right surfboard and wave for you. 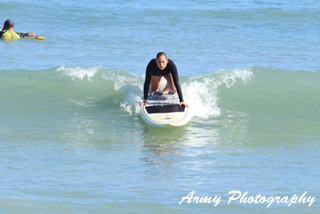 Then we set up the right time and area to surf. Before the Surf Session we have a practice of 20 minutes or more, then send 2 hours in the waves, sometimes longer. In the beginner class, before going out we practice paddling techniques to catching the waves, methods for standing up, surf spot orientation, positioning for waves, safety procedures, etiquette while surfing the waves. Then when surfing the waves you're prepared, ready and focused. For intermediate surf session, we also have practice and,follow the same practices as the beginner class though more advanced. We review what you want from the surf session and introduce new techniques. 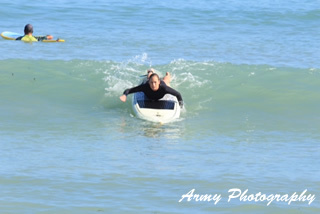 You will focus attention on the development in catching waves, paddling and positioning. Advanced surf sessions have a lot to do with riding bigger waves. Positioning can always be improved, survival methods, picking the right wave, breathing exercises and mental focus.